Sony Entertainment Television is all set to begin 2018 with a big bang as it gears up to launch its new brand SET Originals with Prithvi Vallabh being the first to premier under the brand. 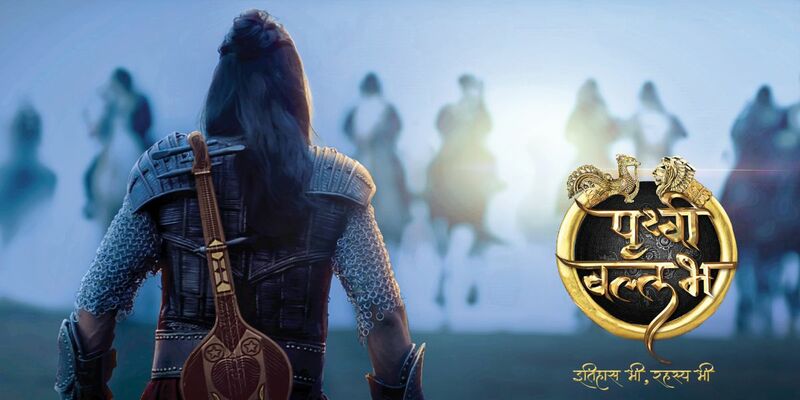 Produced by Anirudh Pathak of Writers’ Galaxy, Prithvi Vallabh will encapsulate viewers with breathtaking visuals, canvas and production scale which will be witnessed for the very first time on Indian television. Prithvi Vallabh is a unique story of two archrivals that starts with hatred in a battlefield and ends up becoming the biggest love story. It will present an untold story of an era when relentless pursuit of ambition was most celebrated and will have the element of both mystery and fiction. With an amalgamation of art, culture love and war, the show will depict an era where Indian kingdoms were fiercely protective about their wealth and masses. The show’s stellar star cast includes Ashish Sharma as Prithvi, Sonarika Bhadoria as Mrinal, Pawan Chopra as Singhdant, Shalini Kapoor as Rajmata, Alefia Kapadia as Savita, Jitin Gulati as Tailap, Piyali Munshi as Jakkala, Surendra Pal as Vinayaditya, amongst the others. SET Originals is the sub-brand of Sony Entertainment Television that aims to create premium and finite content with superior production values, narratives and fresh talents catering to a global audience. Prithvi Vallabh will go on air by end of January 2018. Come and be a part of the biggest extravaganza of 2018 with Sony Entertainment Television’s Prithvi Vallabh coming soon on your television screens.